Open-plan space and individual suites are available in flexible configurations in this modern office development. Also available is a large warehouse space, available on competitive terms to be agreed. The address is an easy walk from the railway station and close to two major motorways. 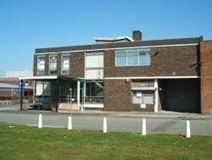 Situated in a brand new purpose built business centre at the heart of a thriving business community, this centre comprises serviced offices and light industrial units located in Liverpool. Office suites will be equipped with brand new fixtures and fittings throughout, as well as state-of-the-art telecoms and data infrastructure with letting terms inclusive of business rates, service charges, heating and lighting. There is onsite secure parking and 24 hour CCTV with security guards on-site out of hours. 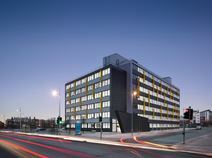 Conveniently located in the heart of Liverpool's commercial district, this modern business centre offers offices of various size, fully furnished and equipped with the latest technology solutions to offer a highly efficient working environment. Available at flexible rental terms, they can accommodate any of your needs. These offices are provided with a full range of services and facilities, including meeting rooms, kitchen facilities, parking area, reception and secretarial services. Surrounded by numerous companies and a variety of amenities, this is the ideal location to run a successful business. Based in the Bootle area of Liverpool, this new, innovative centre offers a well equipped work space with kitchen facilities, an inclusive rate, fast internet, 24hr access and conference/board/meeting rooms. The centre itself is just a 15 minute drive to Liverpool city centre - offering easy access to the many eateries and drinking holes within the city. Similarly, the Merseyside tunnels are also around 15 minutes drive - convenient for those commuting from the Wirral. Situated on the first floor and offering good quality, secure office accommodation, this centre also includes disabled access, suspended ceilings, cat II lighting, comfort cooling, kitchen area and under floor trunking. The property is situated on Stanley Road in a popular office and retail area approximately 4 miles north of Liverpool City Centre. The area benefits from excellent road connections and public transport facilities with Bootle New Strand Merseyrail Station a short walk from the offices. This building is just moments from a great range of shops and other amenities. The centre of Liverpool is just 10 minutes away by train from Bootle Oriel train station. 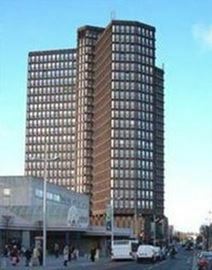 The building has been completely refurbished to provide impressive serviced offices.